The last three years have resulted in significant downsizing for my husband and me. We started in a 1,260-square-foot house with significant storage space, a storage shed, an attic, a utility room, and an additional 750-square-foot garage. We then downsized to 1,100 square feet with lots of closet space, and access to a garage and shed for additional storage. We are now moving into a 900-square-foot barn renovation with no closet space, no garage, and no cabinets (yet). You might be surprised to learn that we’re thrilled with this move. The barn renovation is exactly what we’ve wanted and needed for a combined home and office for years – it’s open and airy, has high ceilings, and a big kitchen and bathroom. The only thing it’s lacking is storage. But rather than focus on the negative, I’m focusing on the positive, and figuring out how to use the space more efficiently. With lots of wall space, high ceilings, and an unused area beneath the stairs, a little creativity and finesse will help us create storage where it’s lacking and make our home work efficiently for our needs. As I’ve started planning storage for our own home, I’ve discovered some truly smart ways to make the most of small spaces. 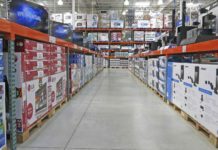 Check out these smart ways to take advantage of “dead space,” and the creative and inexpensive methods you can take to develop more storage. You might be surprised to discover how much dead space your home actually has – nooks, corners, and wall space that can be turned into functional storage. You may not want to cover every wall with floor-to-ceiling shelving – but if you’re in need of a little more storage space, here are several places to start looking. Depending on your ceiling height, you probably have at least one foot of unused space above every single doorway in your house. Granted, it may not be easily-accessible space, but if you’re looking for a place to display your child’s baseball trophies, or a spot to store extra towels or toiletries – things you don’t need to use every day – it’s actually a great spot to add extra shelving. You can pick up L-brackets and a 2×4 from a hardware store to make your own shelf for about $10 to $15. Or, you can buy a basic, pre-made shelf from stores like Target for $20 to $50, depending on size and style. Doors that swing open toward a wall have all that unused space behind them that few people ever see. This is particularly true in pantries, bedrooms, closets, and even bathrooms. By installing curtain rods or baskets on the back side of the door – or even simply hanging one of those plastic, behind-door shoe-holders over the doorway – you can take advantage of the unused space. Short curtain rods usually cost less than $30 for any number of colors and styles, and wire or woven baskets typically cost less than $25 each, depending on size, from stores such as World Market. Sure, you know that you have space to store things under your cabinets, but how much of that space is actually being used? 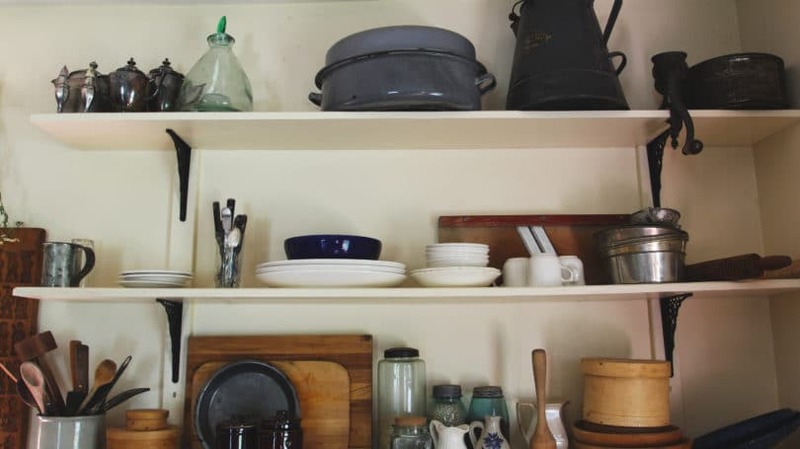 If you just throw your cleaning supplies, pans, or pots into cabinets without thinking about organizing the space, you’re actually missing out on lots of storage possibilities. 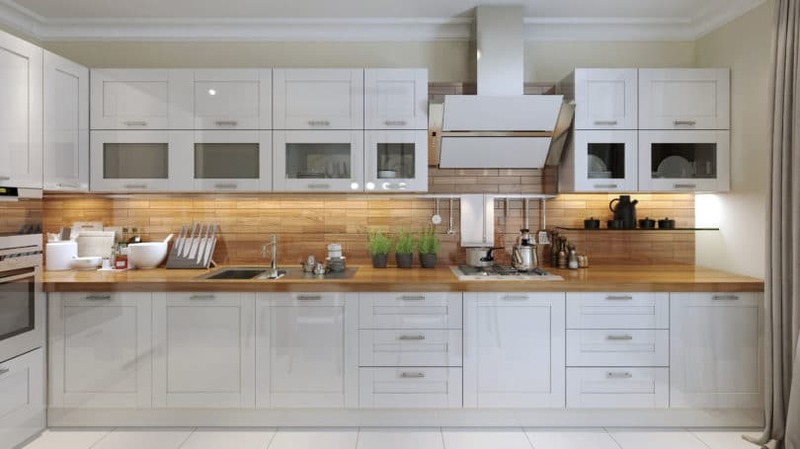 For instance, you can use shower caddies or cabinet shelving (wire shelving systems with legs so you can create shelving within shelving) to take advantage of the vertical space under your cabinets, stacking up cleaning supplies and other items, rather than spreading them out. These types of storage solutions cost between $5 and $25, depending on the size and style you choose. Likewise, you can use the inside of cabinet doors to attach containers to hold your makeup (like this $10 set of three from the Container Store), or you can affix PVC pipe vertically to the inside of the doors to store your curling iron or hair straightener. A 10-foot piece of one-inch PVC from Home Depot costs just $5, while a set of five clamps that can affix the PVC to the door comes in at just over $2. Just make sure you don’t attach door storage at the same level as any interior cabinet shelving – your cabinets might not close if you do. Sides of cabinets are another source of prime storage real estate. Just think about your kitchen and bathroom – what do you have attached to the sides of your cabinets? Attach a magnetic strip horizontally along your cabinet to use as kitchen knife storage, or install wire baskets to hold produce, such as apples, onions, or citrus fruits. We did something similar on our walls to store our spices – the magnetic strip keeps the spices from taking up precious real estate in our drawers or on our counters. You could also install short curtain rods, then loop S-hooks over the rod so you can suspend kitchen utensils, such as spatulas and ladles, against the side of your cabinet. IKEA actually offers many of these storage solutions, positioning them as wall storage, but there’s no reason you can’t install them against your cabinets. 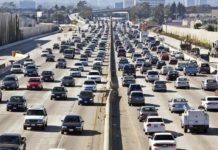 Rails cost $3 to $10, S-hooks cost $1 to $3, and baskets and containers that can also be suspended from rails using built-in hooks cost between $3 and $25. How many of your walls are simply blank canvases, with nothing on them? You may not want open shelving on every single wall you have, but don’t overlook the possibilities for storage. Retailers, particularly those with a focus on modern style, understand that people want to use their walls for storage, without losing the effect of simple, clean lines and open spaces. For instance, IKEA offers the BESTÅ line of cabinets that protrude just eight inches from the wall and have unobtrusive doors that click open and shut with the press of a hand. Adding a few of these to an entryway or office is an easy way to create space where you can hide miscellaneous items and control clutter. Prices vary by size, but most configurations cost less than $100. Open shelving is also a growing trend in kitchen, bathroom, and laundry storage, but you don’t have to use actual shelves to make it work. 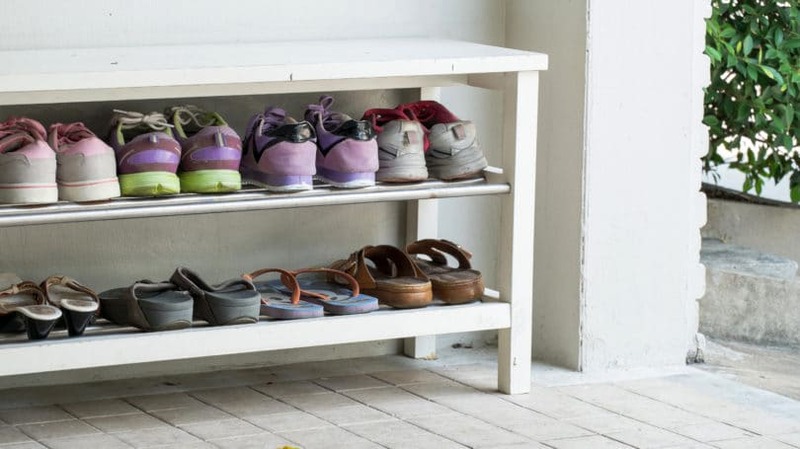 Turn baskets on their sides and use them to store rolled-up towels, or cut pieces of large PVC pipe (at least five inches in diameter) to display knick-knacks or to organize your shoes. Since we don’t have a closet, we decided to install plastic file crates on our wall to store our shoes. If you do opt for open shelving in the kitchen or bathroom, consider the stainless GRUNDTAL shelving from IKEA – the separate metal rods can be used to suspend S-hooks or baskets underneath, doubling the storage possibilities. Plus, they’re inexpensive, starting at just $20. Much of our kitchen shelving is from the GRUNDTAL line. You can even use walls to store bulky items, such as bicycles and exercise equipment. For instance, blogger Mini Penny created indoor wall storage for her bicycles using plaques and hooks she picked up from Home Depot for about $38 total. She used basic wooden plaques – like something you would use as an address placard. I found something similar at Michael’s for $7. Granted, the plaque is for appearances only – if you find a hook you like, you can skip the plaque completely. I plan to hang up my bikes inside, and found two hooks at Home Depot for $6 each. The two things to consider when purchasing a hook for a bike is how much weight the hook can hold, and how far it extends from the wall. The hooks I bought are rated to hold up to 50 pounds, and they extend about 12 inches from the wall, providing sufficient space for the bike’s handlebars and pedals. The key for installation is to install the hook into a wall stud so you can be sure it will support the weight of the bike. Or, if you’re not the DIY-type, you can always just buy an indoor bike storage shelf from CB2 for $50. In addition to our bikes, we have lots of home fitness equipment to store, so we plan on installing simple wall hooks to hold jump ropes, exercise bands, and cables, then we plan on building PVC shelving that extends out from the wall to hold our stability balls and BOSU balls so that they’re off the floor and above head-height. This is just a personal preference, but it’s nice to keep lightweight exercise equipment up and out of the way, leaving “walking around room” down below. There’s no reason you can’t install similar storage at a lower height. It’s possible to make your own, but you can also purchase something similar from sporting goods stores, such as Pro Therapy Supplies’ 4-Ball Holder for $70. It’s one thing to have storage, and an entirely different thing to have organized storage. You can have 20 closets, but if you just throw everything inside without taking advantage of the space, you’re missing out on functional storage space. If you’re like me and hate paying for expensive storage solutions, it’s worth taking a trip to your hardware store to find raw materials to build your own. I’m not very handy with a set of tools, but I can figure out how to run a piece of board between two cinder blocks to create inexpensive shelving, and I can figure out how to cut PVC pipe and cement it together into something functional. With the growth of the “tiny house” trend and funkier design styles, such as “rustic industrial,” it’s possible to make almost any building material look chic and attractive. And the more organized your home is, the more functional it will feel, and the more you’ll appreciate its style. Do you have any additional storage tips for small spaces? How do you stay organized?